Night sky photography has been all the rage lately. However, you CAN create photographs just like these, and you don’t need a ton of special gear. What you do need is some carefully worded guidance, and that’s where WE (Photzy) come in. Photzy has a new writer, and her name is Shari Hunt. 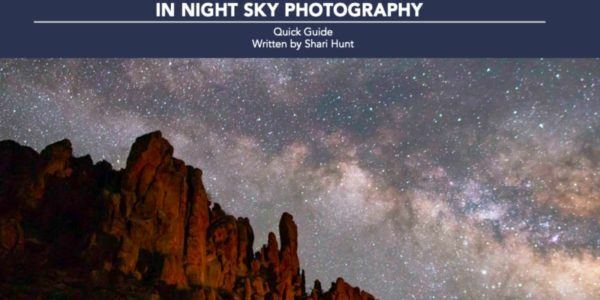 She even teaches workshops on night sky photography. She has amazing images and techniques that she is going to share with us over the coming year.